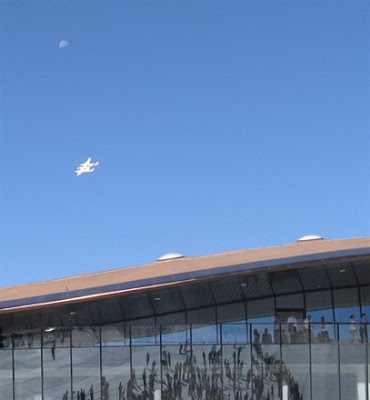 A fly-over by Virgin Galactic’s SpaceShipTwo (SS2) suborbital vehicle and WhiteKnightTwo mothership marked the 17 October dedication of the hangar at Spaceport America, the world’s first purpose-designed launch facility for space tourism and sub-orbital science flights. 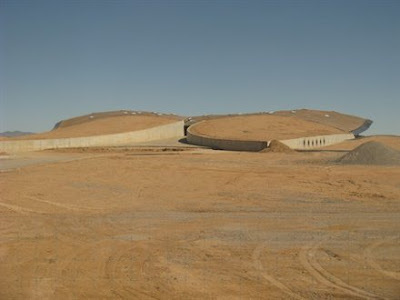 The site has officially been providing limited commercial vertical launch services since 2006 but is now gearing up for SS2 sub-orbital flights within two years. This week's event marked the formal completion of Phase One of the two-part construction program, with Phase Two now getting under way. 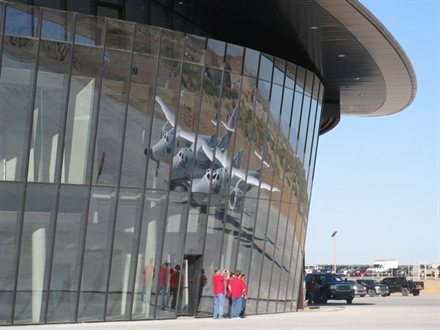 The latest wave of work includes completion of the main hangar and construction of a visitors experience center. and terminal complex designed by Sir Norman Foster. ‘Dune’-like into the desert scrub. SpaceShipTwo between the Moon and the Spaceport. 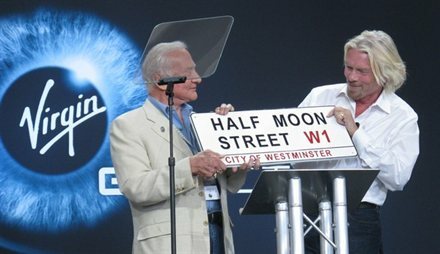 Spaceport’s new ceremonial address – No.1 Half Moon Street, Las Cruces. The name commemorates links to Virgin’s offices in London’s Mayfair district. 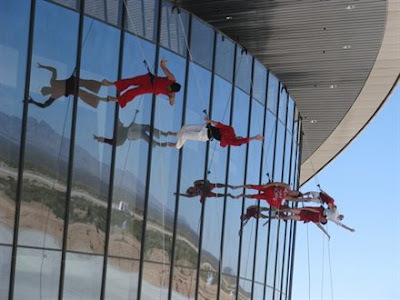 Aerial gymnasts perform at the dedication ceremony. Virgin Galactic President/CEO George Whitesides said powered test flights to sub-orbit are still on track for next year, with rocket motor maker Sierra Nevada gearing up for a further full-duration ground test in November. The company acknowledges progress has been slower than planned, but adds that the focus remains on safety. The Geo-Trade Blog will continue to report and update on future developments at the Spaceport.